The following images demonstrate examples of actual cases highlighting both tissue flaps with and without complications as noted on the T.Ox system. Tissue Oximetry Monitoring in Microsurgical Breast Reconstruction Decreases Flap Loss and Improves Rate of Flap Salvage. Samuel J. Lin, M.D., Minh-Doan Nguyen, M.D., Ph.D., Chen Chen, M.D., Salih Colakoglu, M.D., Michael S. Curtis, M.D., Adam M. Tobias, M.D., Bernard T. Lee, M.D. ; Volume 127, Number 3, March 2011. Beth Israel Deaconess Medical Center/ Harvard Medical School, Boston, MA, USA. 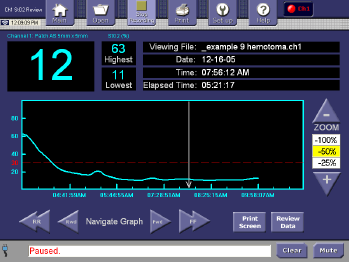 Three-Year Experience Using Near Infrared Spectroscopy Tissue Oximetry Monitoring of Free Tissue Transfers. Mathew H. Steele, MD. Annals of Plastic Surgery. Volume 66, Number 5, May 2011. Cost Analysis of Near-Infrared Spectroscopy Tissue Oximetry for Monitoring Autologous Free Tissue Breast Reconstruction. David H. Song, MD; Julie E. Park, MD; Charles Y. Tseng, MD; Aaron T. Pelletier, MD; Shailesh Agarwal, BS. Journal of Reconstructive Microsurgery, Volume 27, Number 8, July 2011. 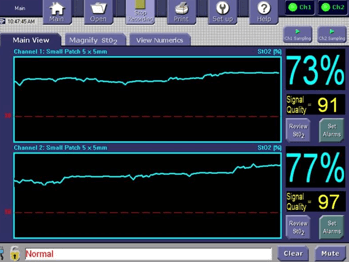 A Prospective Analysis of Free Flap Monitoring Techniques: Physical Examination, External Doppler, Implantable Doppler, and Tissue Oximetry. Robert F. Lohman, Claude-Jean Langevin, Mehmet Bozkurt, Neilendu Kundu, Risal Djohan. Journal of Reconstructive Microsurgery, November 2012; 29(01): 051-056. ViOptix T.Ox has allowed me to transfer patients to a lower level of care to a regular floor earlier in the post-operative period. 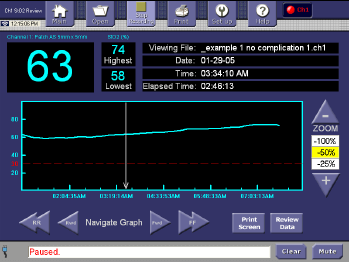 ViOptix is critical for building a microsurgery practice in the real world. In essence, we believe the product is making microsurgery more manageable.